Flat roofs were originally built in areas with low rainfall. For example, they can be found in the architecture of Egypt, Babylon and Mesopotamia. They appeared in Central Europe with the discovery of the processing of asphalt strips at the end of the 18th century. In the modern era, the quality of insulation against atmospheric conditions increased so flat roofs appeared on factory halls as well as highly architecturally appreciated buildings. They are a standard part of all types of buildings. The benefits of such roofs are that they save material, are less labour intensive, provide the option of variable roofing layouts and the potential use of roof areas. However, flat roofs also have disadvantages: the design of the composition of roof layers is complicated, as is the design of the thermal technical evaluation and all principles must be adhered to during implementation. Thermal imaging systems provide the perfect tool to evaluate the technical condition. 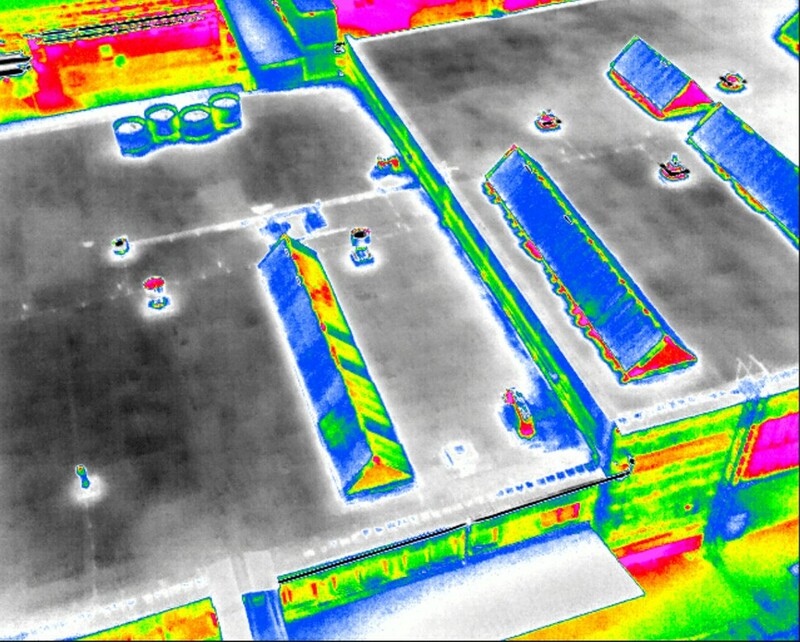 The thermal imaging system located on the drone provides a fast and economical solution for surveying wide roofs on industrial sites. Many places on flat roofs can be the source of defects (contact of the roof with the attic, penetration through the cover, inflows, etc.). Problems with leaks can occur in the area, for example, due to unprofessional installation, neglected maintenance or degradation of the surface due to insufficient protection of the surface layers against climatic influences or the end of the service life. In most cases, flat roofs are affected by excessive exposure to wind, which causes dynamic shocks, permanent oscillating movement and lifting of unsecured parts. This phenomenon is also the source of many leaks. Water collected on the damaged roof construction negatively affects the durability of roof clad (degradation of multi-layers, leaks). If it flows through the gaps between the insulating parts under the non-absorptive heat insulating layer through to the waterproof insulation, it has a low temperature. This causes a decrease in the temperature of the waterproof insulation, which may cause condensation of the water inside the roof cladding under the waterproof insulation. In extreme cases, the leaked water may also overload the load-bearing construction of the roof cladding. Before removing the problem, a construction technical survey must be conducted to determine the actual cause of the problem. If the user finds a defect in the building (leaks), it is theoretically possible to approximately detect the defect. However, in most cases, the trails of leaked water are not direct and usually the upper part of the roof must be inspected in detail. Moreover, the leaks into the internal premises will cause only a very small amount of such defects. Mostly, water leaks over a long period (even several years) under the surface of the roof will destroy the foundation layers. Such widespread destruction can be prevented by timely discovery of the problem. Unfortunately, a detailed survey of the whole roof is very difficult due to the large area (for example, in factory halls), as well as due to their variability. For the inspector, it is a time consuming and physically demanding task and, therefore, in most cases, the inspector only focuses on risky areas and defects that can be overseen. The most frequent reason for problems with flat roofs is thermal insulation. The thermal bridge on the roof of the building results in significant thermal losses. There is a fast and simple way to resolve the problem of the inspecting various flat roofs exists. 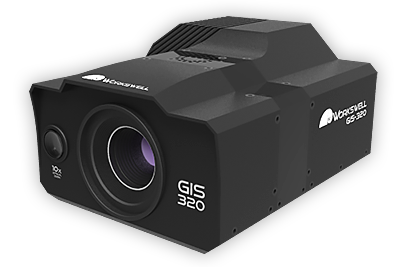 This method is a thermal imaging system (thermal camera), which due to the thermal difference between a dry place and a place with penetrating moisture, fully identifies discovers where moisture has penetrated. Depending on the construction of the roof, it is possible to see how large an area is affected by moisture, i.e. to localize and state the scope of the problem. The physics behind the thermal image inspection of problems related to the moisture is based on the fact that the dry part of the roof (not affected by moisture) is cooled and heated slower than the wet part of the roof insulation. 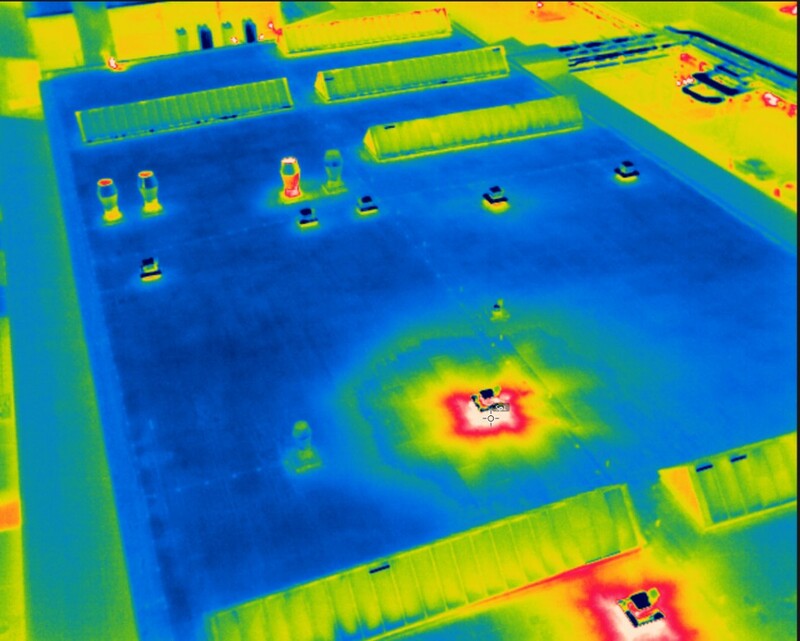 Thermal image inspection using a thermal camera during or after sunset (where the roof has been heated throughout the whole time) identifies the moist areas because the dry parts of the roof cool slower than the wet places, which have a higher thermal capacity. 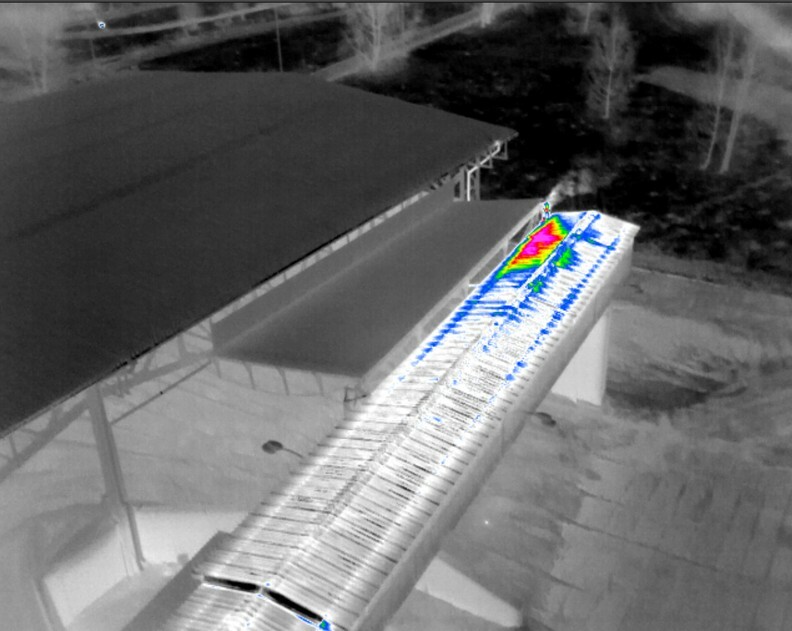 During the warm season, the thermal camera can also identify areas that are poorly insulated (where what are known as “thermal bridges have occurred”) and where there are thermal escapes. These areas show as warmer than the surrounding parts of the roof. 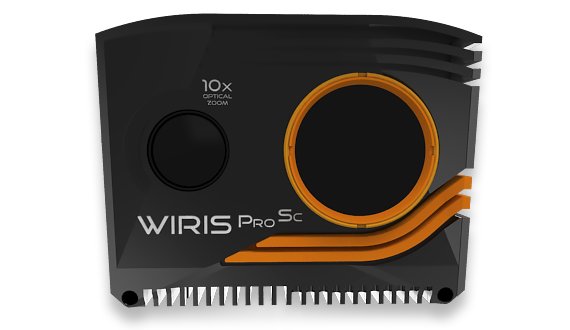 Even when using a thermal camera, which is an excellent diagnostic tool, the question remains how fast and easily it can check the large area of a roof. The way round this problem is to use a drone which the thermal camera is attached. Such an aircraft can fly above roofs and is not restricted by the number of ladders, elevations or unstable surfaces. The operator controls the drone from a safe place and has an immediate overview of the condition of the roof. If they spot a defect, can focus in detail and personally check the area. 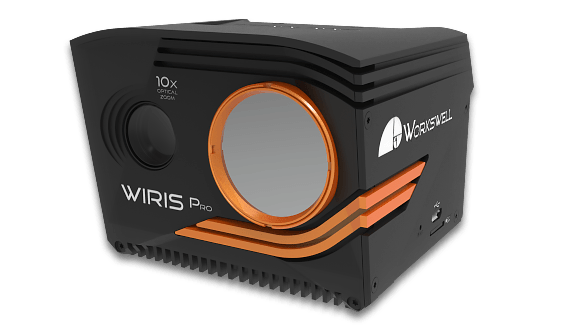 Why choose a Workswell WIRIS system? 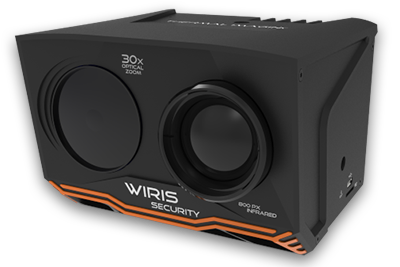 The company Workswell developed the Workswell WIRIS system, which combines two camera systems – a visible spectrum camera (for inspection of visible defects found by thermal camera) and a thermal camera for detecting the problems mentioned above. 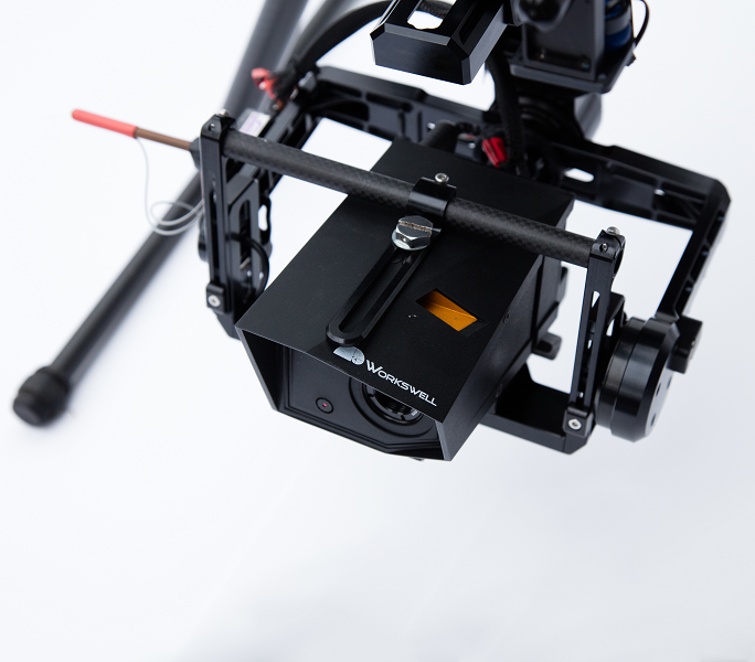 The servicing software enables the operator to remotely switch camera regimes, to record radiometric videos or to make static images in both the visible and infra-red spectrum. The operator sees the objects under the drone in real time or can analyse records and identify damaged areas. Moreover, Workswell WIRIS, unlike similar systems, enables the manual setting for a range of temperatures, e.g. in the interval of 15 °C to 25 °C mid-flight. Without the need to land, the settings for the system can be changed to easily achieve the required thermal sensitivity setting, which is required to find minor moisture defects or the most precise localisation of large defects. 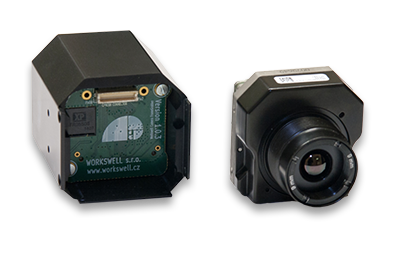 Traditional photo documentation is required to localise a defect, therefore, the Workswell WIRIS video camera can produce a traditional photo. 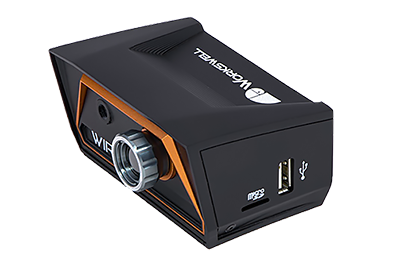 Moreover, the system can be fitted with a GPS sensor, so it can store information about the position of the drone when taking an image. Checking the roof using a manual thermal camera would be very complicated, the roof is difficult to walk on. 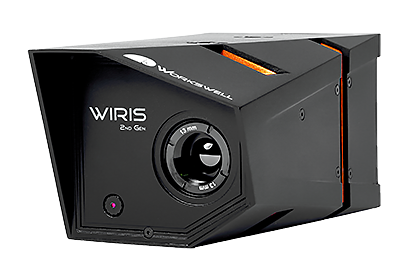 When using Workswell WIRIS, monitoring is fast and safe and it is possible to obtain an excellent overview of any problems. The system can measure temperature at the central point, as well as in the local minimum and maximum. Minimum and maximum are localised using a blue (minimum) and red (maximum) cross. This function can also be used to navigate drones because the system automatically shows where the largest potential problem is located. Produced records are fully radiometric, including videos. After termination of the flight, the records can be evaluated using the Workswell CorePlayer software to produce a measurement report on the measurements recorded with the exact location of the problems. For this reason, a full visible spectrum photo is produced as well as thermal images (thermogram) to help distinguish what the photo is showing. Individual photos from the radiometric video can be taken and used as separate thermal images (thermogram) to analyse a problem. The combination of a visual and thermographed inspection using drones can discover a series of problems that unless resolved will become hazardous and/or financially demanding. 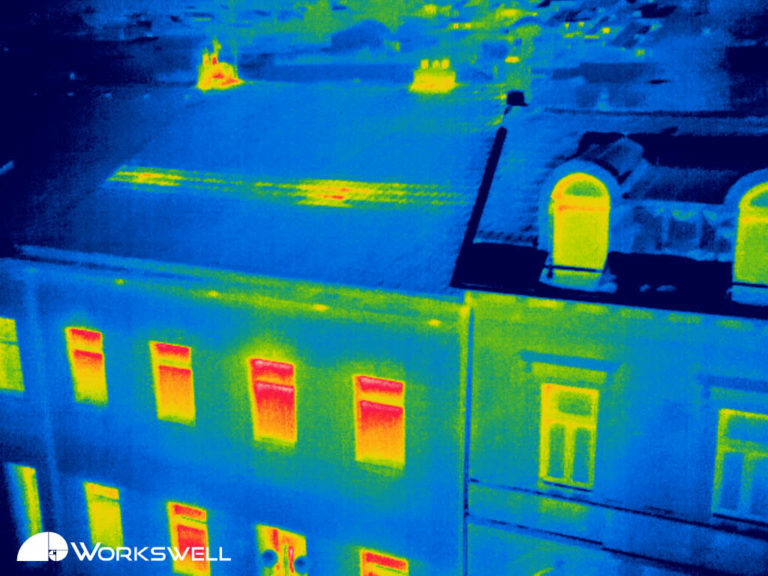 Small leaks into the roof can be seen on the thermogram so the roof can be repaired at a fraction of the required cost, e.g. in the case of the destruction of load-bearing layers and the roof fall. Moreover, the whole system is universal and can be used in other industrial applications when checking leaks from a construction or when inspecting the quality of piping and identifying defects. We found that in most cases, the heat insulation was incorrectly fitted, and such were the thermal bridges that its efficiency was reduced by one third. The most frequent reason for these problems is that the heat insulation is not self-contained and between the thermal insulating layers or boards are a series of large gaps.